We know our customers have to come to expect more from Falk Culinair. That's why we offer products that stand up to your shrewd requirements. You want quality and value. We meet that challenge with hard working versatility. Braising, slow cooking, poaching, stewing, browning. Our largest rondeau, the 28cm, provides functionality that will exceed your demands. From the oven to the hob, our 28cm rondeau will outperform your expectations. Falk Culinair. Let the feast begin! Bigger than expected. Looks well built. 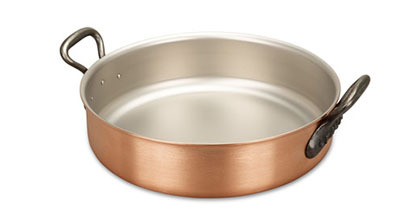 This is my second purchase from Falk, since the first time I liked the frying pan. 478 customers found this review helpful. Did you? Yes, I did! Outstanding service, very well packaged and delivered on time. Also fantastic follow up support. 497 customers found this review helpful. Did you? Yes, I did!